After two very successful years, Ian Purkis retired as Commodore of the Solway Yacht Club at the AGM on 17th November. He “handed the helm” to Lindsay Tosh, himself a longstanding and highly experienced sailor and member of the Club Committee. As if anyone needed reminding, the Club has been enjoying much success in recent years and expanding its activities in training, racing, sail cruising off shore and power boating. So much so that the Club was nominated for “Club of the Year” in the 2018 Annual Awards run by the sport’s governing body, RYA Scotland. 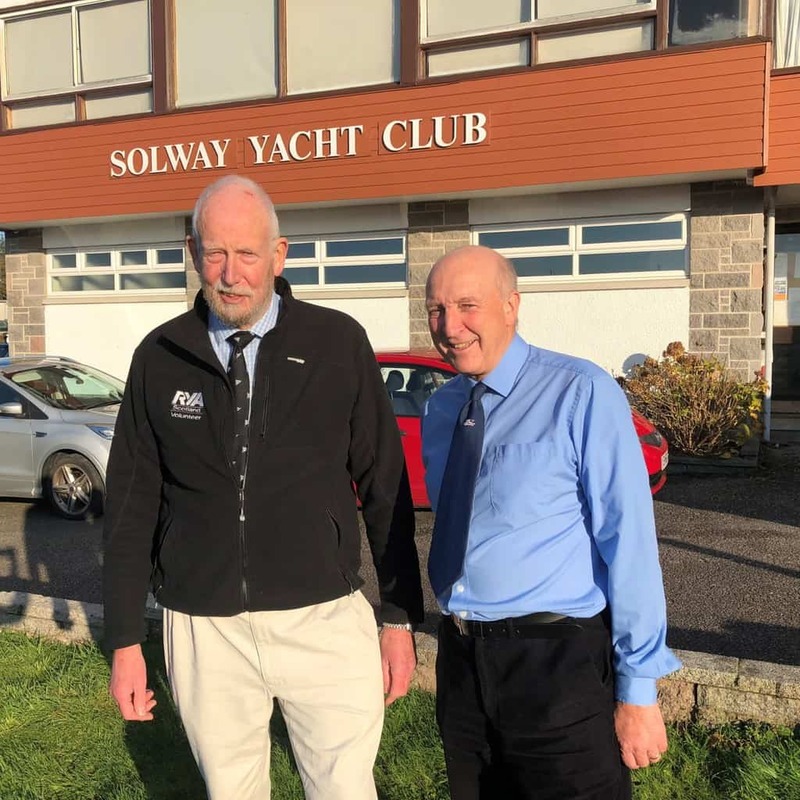 Marc Turner from RYAS was able to congratulate the Committee with the news that the Solway Yacht Club has made the shortlist, the winner to be announced at a special event in January.